Students in an English class at West Ashley Middle School practice taking a timed test in April 2015. A generation ago, most kids attended schools close to home. There wasn’t a lot of choice involved. Today, families can pick from a galaxy of possibilities for their K-12 students. 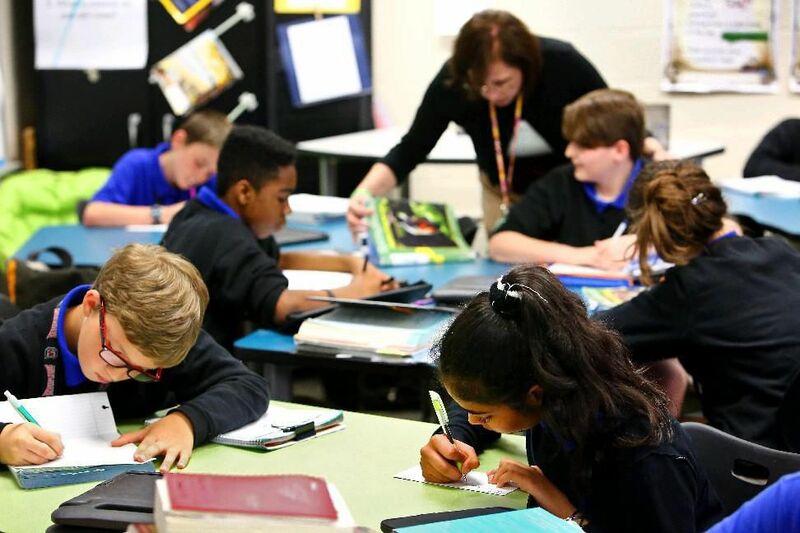 While neighborhood schools are still an option, parents can also consider choices ranging from arts-infused magnet schools to math- and science-focused programs, to charter schools, Montessori classrooms and more. That’s not to mention private, religious or independent schools, online education and home schooling. To help parents and kids navigate these education options, we’re presenting a three-part series on school choice in our April, May and June 2016 issues. Throughout the series, we’ll delve into the history of school choice, how to decide what type of school best suits your child, how to approach the application process, where to seek financial aid and other issues. We hope you’ll refer back to these stories as you’re weighing school choices for your own children.